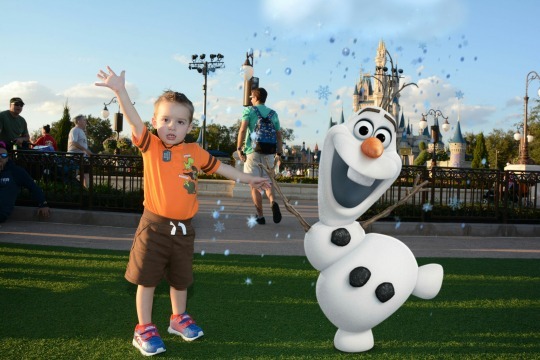 We recently went on a family trip to the most magical place on Earth with my 2 toddlers, well my toddler and my 9 month old. Also, my parents came along because, well actually this trip was all about me! 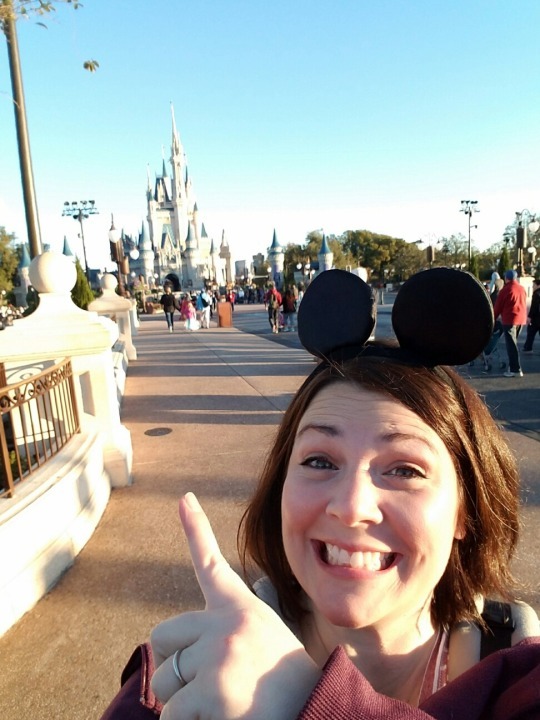 The only child who has dreamed of seeing Disney World for, oh approximately 30 some-odd years, we won’t go into exacts; you get the picture. Just know….it was a long time coming! I planned and planned… and planned. I know all kinds of important facts, and some completely useless ones, about the happiest place on Earth; enough to make most people’s head spin. Now I have to admit I’m an over planner. I hate to waste time. Especially on a vacation!! I like to be productive and accomplish everything that I want, that doesn’t mean I won’t relax or go with the flow, it just means those time frames of relaxation are better planned into a timeslot!! I have however decided to share a small bit of my findings with you! 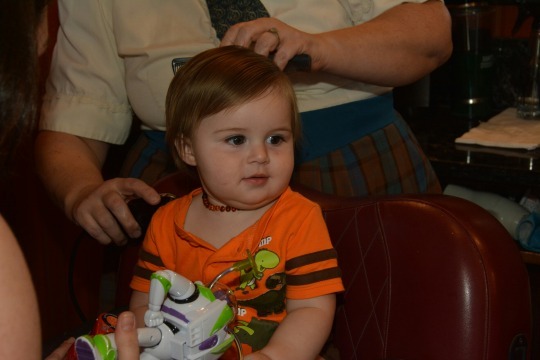 I’ve come up with 10 of my biggest tips of “doing” well, Enjoying, Disney with 2 under 2!! So here we go! I know you are thinking..A stroller? Of course we are taking a stroller, we’ve got our umbrella stroller packed already. Um no. that’s not what I mean. I mean a real, deluxe, Cooler attached, extra compartments, 1 touch fold, adjustable handle bars and storage underneath mega- stroller. Do not rent an expensive one from Disney, they are overpriced and you can only use them daily in the park. I suggest calling one of the rental places in Orlando and getting the “Deluxe City Stroller” I mean, I wanted an adult size one!! You can use these to carry all your belongings, Diaper bags, waters, water bottles, snacks and kids. They are great. And when nap time comes….recline that sucker and let them nap while you enjoy a cold margarita. Ice tea. I meant ICE TEA! #2 Purchase the Memory Maker. OK so this is a little expensive and I know not “doable” for some. BUT…you are already dropping some major $$ on a trip. Why not have some great pictures to remember it by? Often times cell phone pictures do not print correctly. 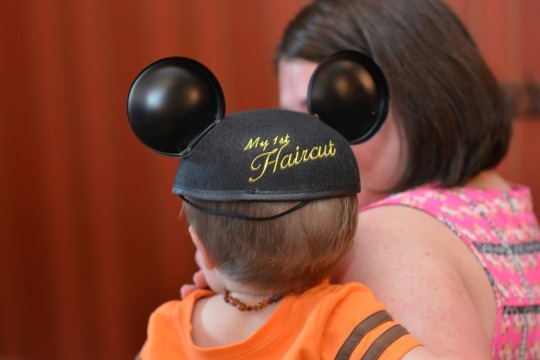 They cut off pieces of your head or that perfect picture of your little one and their favorite character…yeah that is the one that’s always ruined! Disney offers a package called the Memory Maker for $150. They have photographers stationed throughout every park and some of the Deluxe Resorts. The photographers take your picture and often add a little “magic’ to them. 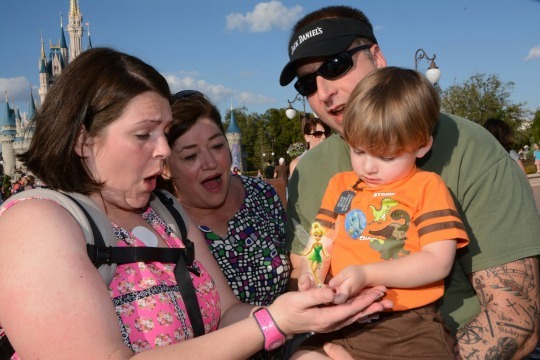 I mean, everyone gets to be in your picture and who doesn’t like a little magic?….do it! We ended up having around 400 pictures that we could download and have printed anywhere we liked…that’s what? Idk you do the math…cheap pics and you get to enjoy the moments instead of seeing your vacation through a camera!! DO IT!! #3 Get up early and get to the parks. We woke up at 5:30 every morning! I know. I can’t believe it. 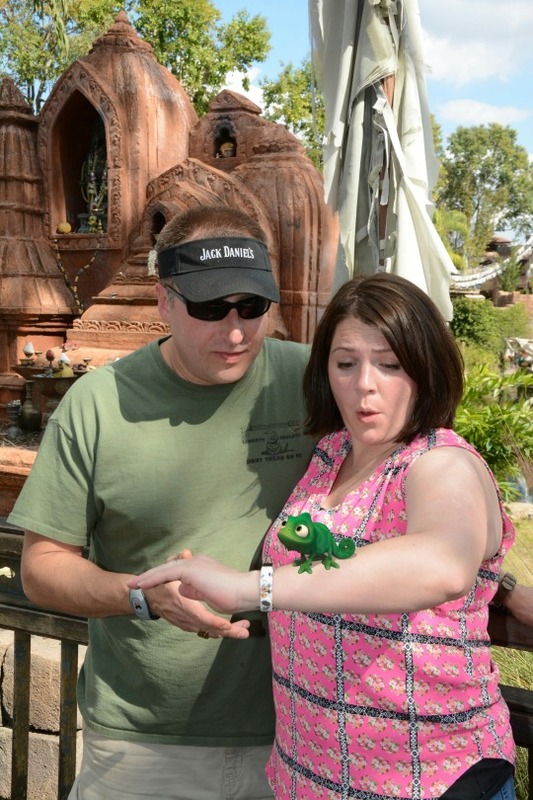 But I refused to believe that you couldn’t go to Disney without waiting in line for ridiculous amounts of time. Seriously…I just don’t believe it. And we didn’t. We never waited in line longer than about 15 minutes and this was during peak park hours. In the morning, for the first couple of park hours, we walked straight onto every ride! We were at the park about 30 to 45 minutes before opening and by the time we got through security and made our way to the front, it was almost time for “rope drop”. This is no joke either. When they open the parks and drop that rope, you better be ready to roll or get rolled over because people are moving to their attraction. And this is not a stroll. Its almost an all out sprint to your favorite ride. I looked at it like a brisk morning walk. And the kids enjoyed going fast in the stroller!!! Think of it like Black Friday at Walmart or maybe herding cows through gates and they are being chased by hungry lions. Yep that more like it! So, the earlier the better, trust me. Not to mention, most young children’s “peak” hours are between when they wake up and 11:30, so use your time wisely and get some stuff done! You can then take the remaining day and enjoy the park, while watching other people wait. And wait. And wait for their rides. #4 Take a change of clothes, for everyone. This should be a given, however I always had a change of clothes for both boys but the first day in the park I didn’t take one for myself. I babywear. So, whatever gets on babe, gets on me. 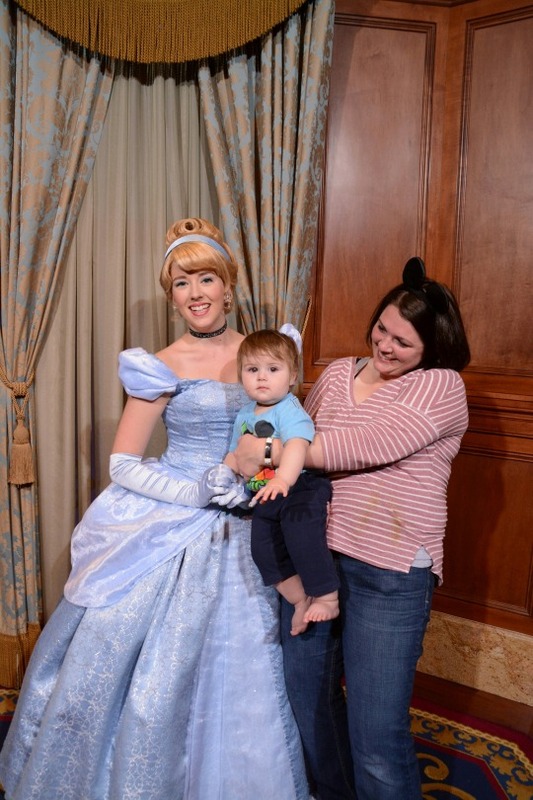 Lets just say in my pictures with Cinderella I would have appreciated a quick change of shirts! Sorry Cinderella, but that ain’t mustard. If you forget a shirt for you, just hold the baby over it and smile. This too seems like a given, but just because your dinning plan has snack credits doesn’t mean you will be able to access the correct snack at the exact time someone is having a come-apart. Having little bags of goodies is always good for those melt downs and hungry tummies. This will also save you from snacking on whatever is available, junk food, ice cream etc, and save you some money when you just buy what’s there! #6 Use the rider swap tickets!! This is my favorite tip. Ok let me see if I can explain this correctly, Everyone has 3 fastpasses that they can use to “skip ahead” of the Disney lines. Now. Here’s where the trick is. Say you have a 2 yr old and a baby with you. 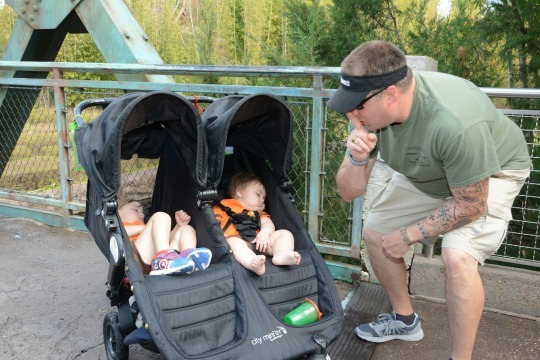 Well, obviously they cannot ride every ride, and even some that the 2 yr old can enjoy, the baby can’t so…split up your fast passes. When you go to a fast pass, and the older child can ride but the younger one cannot, obviously someone has to stay with the baby. Schedule your fast pass for 1 adult, all adults show up to the ride, the adult with the scheduled Fastpass then takes the child and gets a rider swap ticket for the other adult to ride later (just ask at the entrance and they give you one). Now, you don’t have to swap immediately, you can come back and enjoy said ride anytime that day with the “RiderSwap” ticket, which puts you in the Fastpass line upon return essentially doubling your fastpasses! So, scenario: We had 4 adults and 2 children. We will use the Barnstormer as an example. We fastpasted the Barnstomer for 1pm, and adult A and adult B with older child rode it and got a rider swap ticket: Adult C and D stayed with youngest child. Then after the ride, and later that day, Adult C, adult D and Adult A with older child rode it again while Adult B stayed with youngest child!! Because the ticket is good for 3 riders!! Our children were both under 3 so they didn’t “count” therefore we essentially doubled our Fastpasses! We ended up with 5 and 6 fastpasses throughout the days and my oldest got to enjoy his favorite rides 2 times with NO LINES!!! 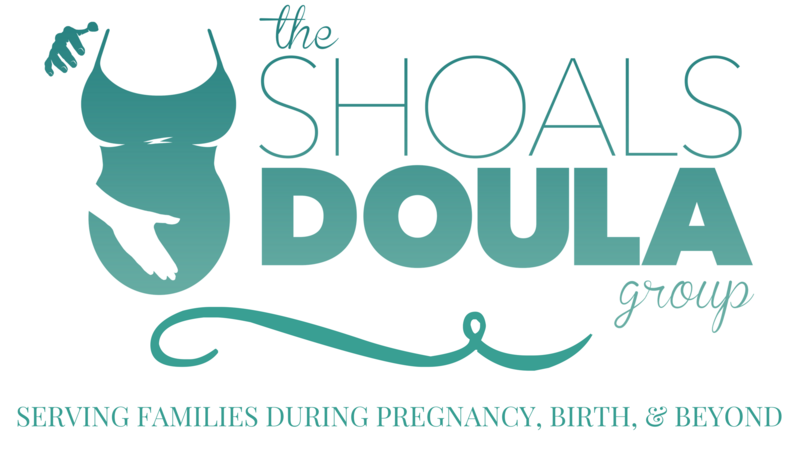 This is an excellent tool and I suggest you really plan it out so you get the most enjoyment for your babies! 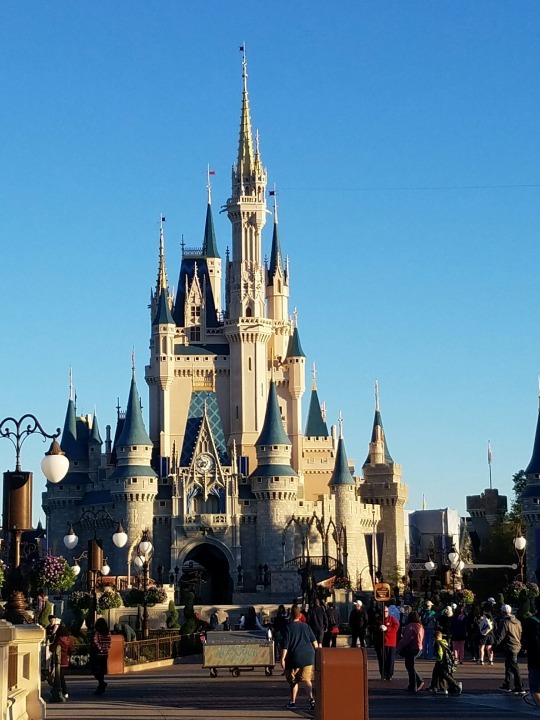 Disney has tons of things to do that are not on the popular lists! Depending on your child, do things they will love, not the things everyone says they will love. Some of my child’s favorite things we did. The transportation boat rides. 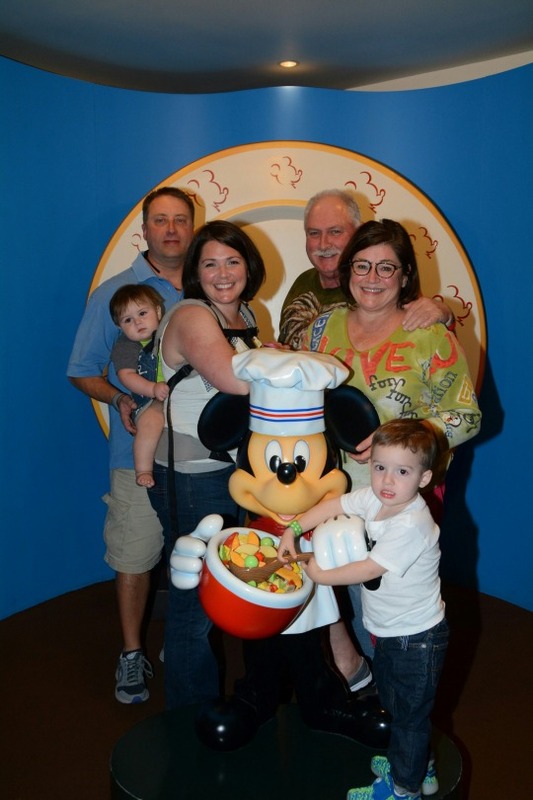 One day we went from our resort to the Magic Kingdom then aboard another vessel to another resort. He loved it. It was lazy, sunny and to him it was a ½ day spent on the lake for free!! 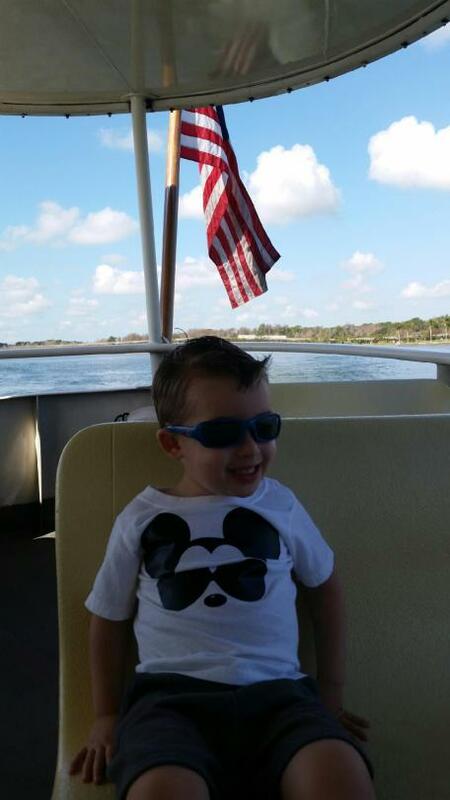 We also took the boat ride from Hollywood studios to Epcot. If there was a boat transport available, that’s what we took. 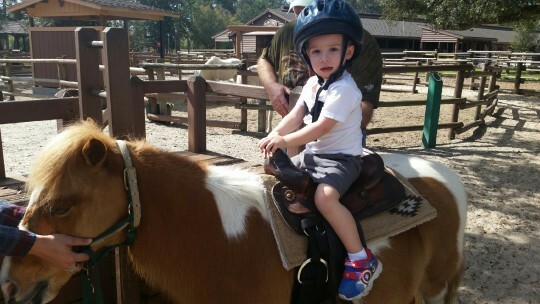 Also, we ventured one free day over to Ft. Wilderness campgrounds, by boat of course, to ride horses. It was great. They have huge shaded playgrounds, bike rentals, front porches, Spanish moss, and Pony rides!! For $8 we lead the pony that my oldest rode and took him on a mini trail ride. He LOVED this and said it was his favorite thing! Seriously, did I mention it was $8?!?! Then we walked through the stables, visited with Cinderella’s horses and saw her carriage! It was really interesting and fun…and FREE! 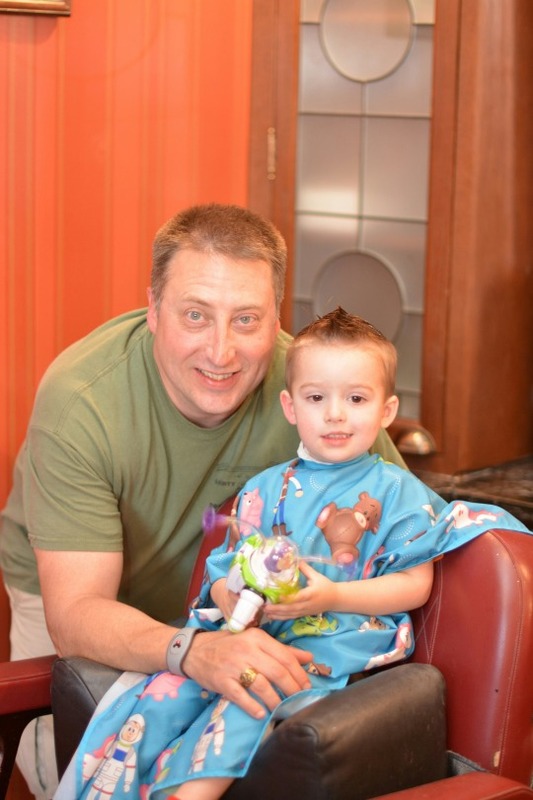 #8 Check out Harmony Barber shop on main street! Here you can get haircuts and sparklies in your hair. Now they also have a boutique called Bibbidi bobidi boutique and there, little girls can play dress up, get an outfit and get all glammed up for the bargain price of $200-$300 BUT at Harmony, make an appointment, and get their hair done with added sparkles and change them into a dress you brought! Take pics with memory maker photographers and there ya go. The same general thing for like $30 bucks! 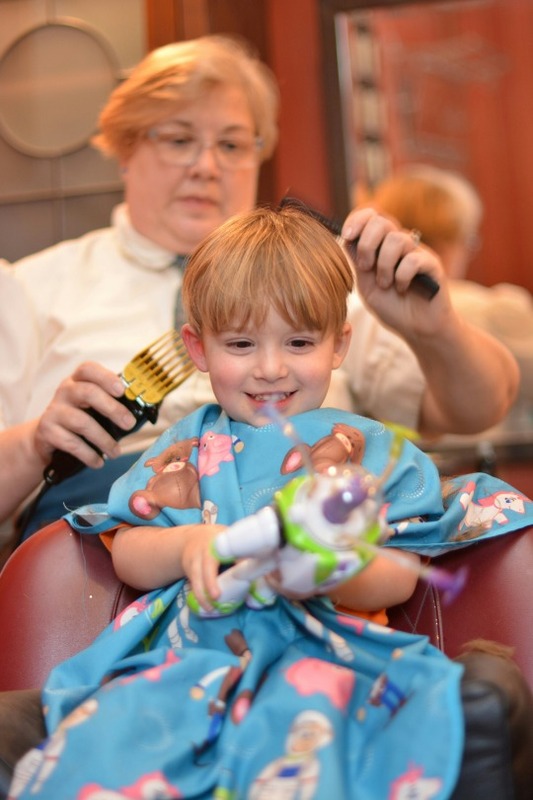 We planned it to get my tiny’s first hair cut and my oldest Big Boy hair cut! It was so fun and memorable. Not the usual thing to do at Disney, but what a great time. When we left it was 5:00 and we were in the perfect spot to see the daily Flag drop and veterans honor show, complete with a march, soldiers , a quartet and a band! What kid doesn’t love that? It was great and we left feeling very patriotic! You should definitely check that out! Most people don’t realize that within 10 days of your arrival at your resort you can have packages shipped and held for your arrival. We shipped all kinds of things: snacks, juice, sunscreen and bottle water! Orlando’s water is filtered and sometimes double filtered but it still tasted like swap water with alligators, sulfur and some mud! We took personal Britta water bottles for the adults and refilled them for free in the park, but my boys wouldn’t drink the tap water from their sippie cups. So instead of paying $3 per bottle, just ship some and carry it into the park! #10 Pre-buy souvenirs and little Disney “Happies”. 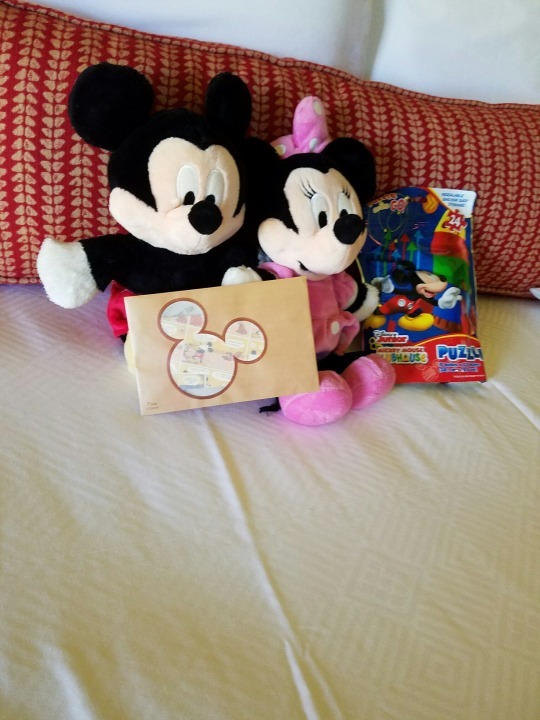 Every morning under my boy’s pillows, they found a personal note from Mickey Mouse about what they would do that day along with a little gift that correlated. These were tiny gifts I picked up on sale at target or the sale bin at the Disney store, but they kept them from begging for new stuff at the parks where it was super expensive. Glow sticks are super popular at the parks at night, and we always had our supply from the dollar tree in our bag. My kids never wanted anything they saw because they had new toys that matched what we were doing that day! Also, this was so fun to read them the plans for the day! They knew what to expect and looked forward to everyday when they could check their pillow and see what Mickey had written them! I mean, it is the most magical place on Earth, right? These are just a few of the many tips I have. Hopefully they will help you along your journey. We managed to make it through a whole week with 0 meltdowns, from the kids anyway, little to no waiting in line for rides and only a few diaper blowouts!! Happy Planning and Good luck!